In an interview with Music Radar, Red Hot Chili Peppers' Josh Klinghoffer is asked if the band can play their song Puncture live, to which he replies: "Yeah, yeah. We got bold and opened with it when we played a couple of years ago. It's a lot of fun. Clint fills up a lot of space on the guitar live, but there's a lot of Hammond B-3 in there and a few other keyboard things. Every time we do it, it's different. I can't wait to play live again, and hopefully do more than one show in a week." At 2:16 of the "Audio, Video, Disco" music video. He also had Hammond B3 on legendary concert in madison square garden in 1973. On his official YouTube channel, Sherinian is shown at his home studio playing on his Hammond B3. "Preston, who died Tuesday at 59 in Los Angeles after a long, kidney-related illness that had left him in a coma since November, was a virtuoso on the Hammond B-3 organ. Two albums recorded before he was 20 were aptly titled 'The Wildest Organ in Town' and 'Most Exciting Organ Ever.'" It is a common fact that Gregg Allman played a Hammond B3. As mentioned on Hammond's official website. The B3 puts Al Kooper in the map! Just one of his Hammonds. Has modified percussion boost (used on "Maze" for example). In 1971, Ray acquires a Hammond B3 Portable Organ (a Bill Beer "chop") for use on the Post-Morrison tours. He can be seen playing it during the band's appearances on Beat-Club and The Old Grey Whistle Test. It becomes his main touring instrument along with the Fender Rhodes Electric Piano through 1972. "I’ve been playing a [Hammond] B3 for a long time, and I know how to do a lot of different things with it. I know how to shape the sound, how to move it somewhere, make it go. My hands know what to do. Especially piano. You can always find a place that works with the singer on piano." The B-3, the instrument she most frequently plays, has been parabolized by Keyboard Products. Christine has no settings that she regularly favors. "I use the drawbars a lot; in fact, I don't think I've ever used anything else but the drawbars," she admits. "Sometimes I perk it up with a bit of percussion too. But I don't think there's any particular sound I go for every night. I try to get whatever sound suits the track best when we're recording, and I just look for something that sounds good when we're playing live." Playing Dr. House in episode 15 from season 6 from House MD, Hugh Laurie can be seen playing three short parts of: Toccata and Fugue in D Minor, Overture and A Whiter Shade of Pale in a Hammond B3 organ. In this video, Walsh can be seen using a Hammond B3 Organ. Dennis often used a B3 organ in the studio, especially on The Grand Illusion. "Once the string sounds started to sound great it all started to fall into place. Until then tuning oscillators was just not my idea of a good night. I preferred jamming on a Hammond organ with a screaming Leslie." 'He is utilizing a blueSky reverberator in his Hammond pedal board' The organ can be seen in the photograph accompanying the article. In this article Rogue talks about using a B3 on "Descended Like Vultures" and he is credited for playing on that album. Showed up in a list of Ryo Okumoto’s gear on the Spock’s Beard official website. 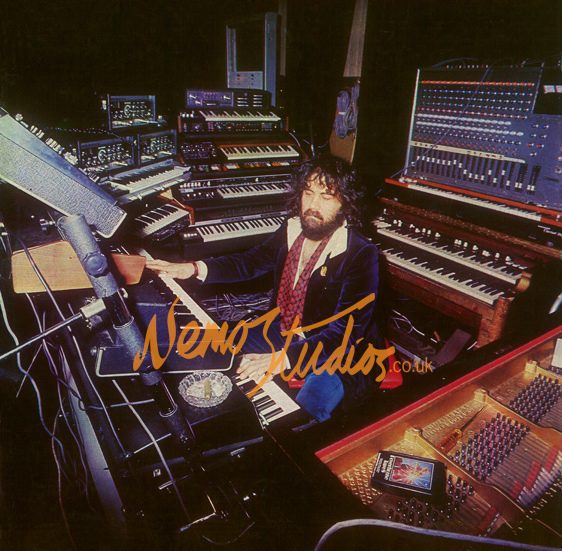 In this image, Vangelis can be seen at Nemo Studios surrounded with studio equipment, including a Hammond B3. In this video, Rikard Sjoblom (Gungfly) uses a Hammond B3 Organ. Pete is shown playing a Hammond Organ in this video. Jaffee played the B3 during the Wallflowers’ self-titled debut in 1992. "Plus, on tour there were still all their older hits to be played too, providing lots of room for the three horns and Robert Lamm's Hammond B3 organ to still shine." Seen in this video at the beginning. Custom painted white. In this rig rundown Grace mentions her hammond B3 wile talking about effect pedals. OUR FAVOURITE SHOP (24:30) You can see Mick playing his Hammond B-3 in a custom stand that rocks forward and backwards. On top of his Hammond in this concert he had his Yamaha DX-7 mounting on top. In other performances he has placed his Wurlitzer A200 electric piano on top of his Hammond. In this video Cory Henry can be seen playing a Hammond B3 organ. In the 3:20's of this video, Paul Shaffer can be seen playing a Hammond B3 organ. "I also have Bryston and Crown amps. There's a Pro Tools HD rig and all my other toys and keyboards, like a [Hammond] B3 and a Wurlitzer and my Studiologic Numa 88-key MIDI controller, which is my pride and joy." 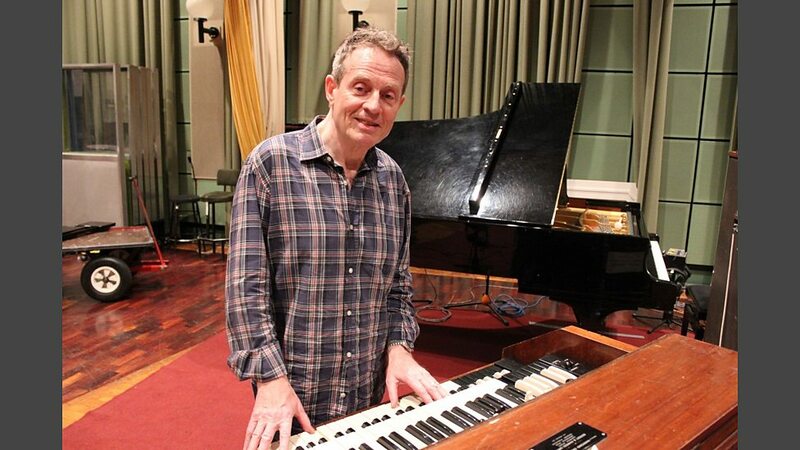 At 6.50 you can see that it is definitely a Hammond B3 due to the knobs shown. "With the Shakes, I have a pretty sweet right now. They recently bought a road-worthy B3 that has folding legs and fits into a road case. So I usually have that and a Rhodes and the Nord Electro. The Electro i normally use for just piano sounds unless the Rhodes is having issues, which happens from time to time." He uses a BC because he doesn't use percussion. 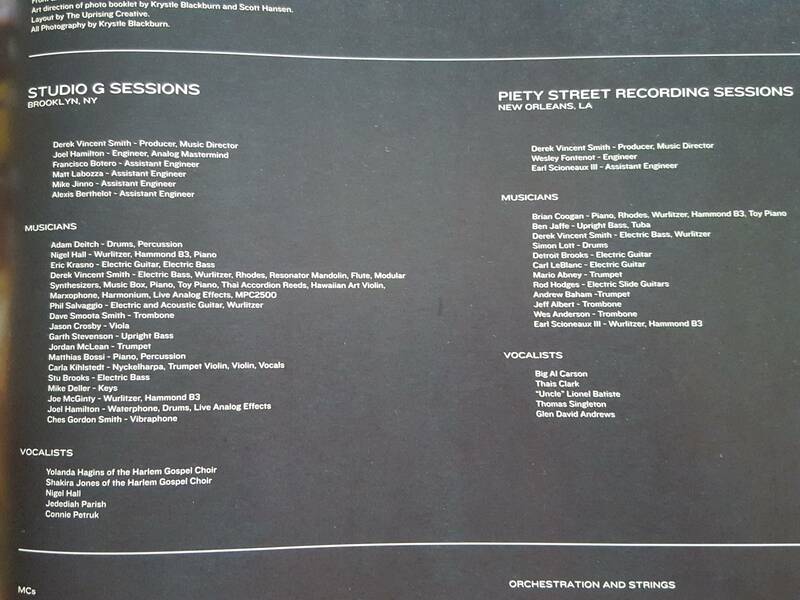 According to the "equipment list" found on Church Studios, owned by Epworth, one of the things listed is the Hammond B3. This is one of Joey Defrancescos main instruments. It can bee seen in most picturs of him "Right. And the whole thing now is nobody wants to move a B-3 around. It’s too heavy. I mean, I used to do a lot of it; actually, I miss those days. It was fun. But now they have these things called clones or “clonewheels,” which is a play on the B-3 organ’s “tonewheels.” There’s a lot of companies making them, even Hammond, which is actually Hammond Suzuki now. 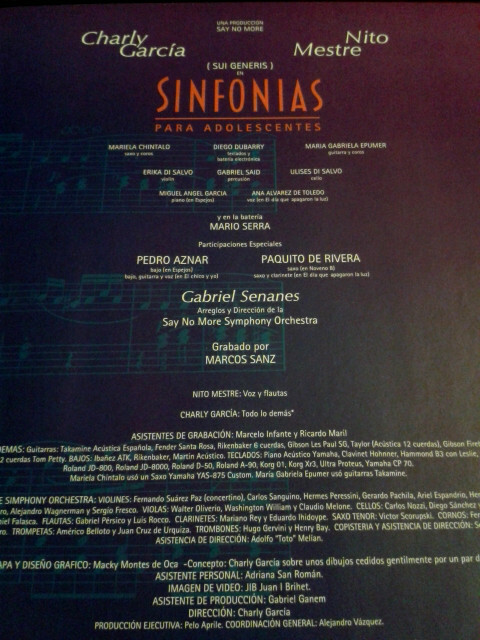 They have their own versions of the instruments. They’re digital. They’re smaller and a lot easier to move around." Champlin performing with Chicago at Casino de Paris, Paris in 2008 on the B3. Minute 27:47 Elvis Costello and The Imposters - March 8, 2018 - Port Chester (complete show) Larry Rulz Published on Mar 16, 2018 Recorded on March 8, 2018 at the Capitol Theatre in Port Chester, NY. 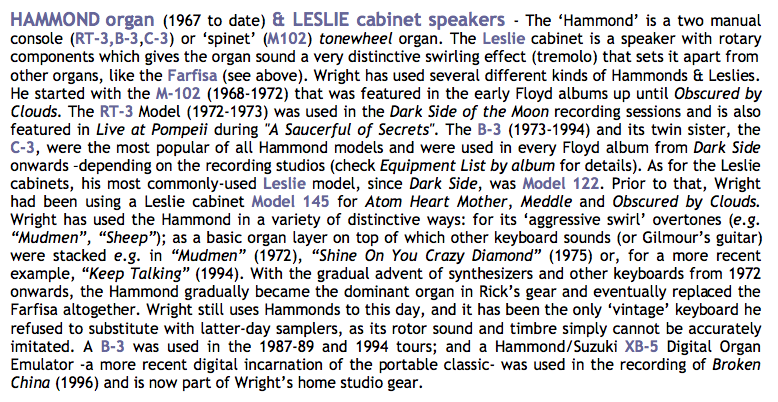 Hammond organ is credited on the album. Used as well as a combo organ. His official website lists him as playing it. This obituary by The Gaurdian says he played a Hammond. RT3, with Leslie speaker. This instrument appears on list of instruments on official artist's website (http://olszak.pl/). B3's are one of the greatest instruments ever invented. B3's are one of the greatest instruments ever invented. B3's are one of the greatest instruments ever invented. B3's are one of the greatest instruments ever invented. B3's are one of the greatest instruments ever invented.